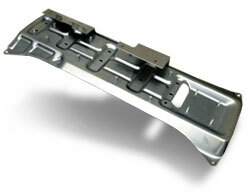 Metal stamping and fabrication, TS 16949 - P&G Steel Products Company Inc.
P&G provides cost effective and quality assured metal products that fit seamlessly into your production process. Call us today and see how we can help you – 716.896.7900. 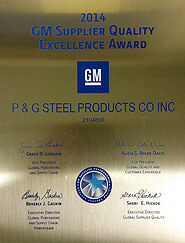 November 2014: P&G Steel Products has earned the prestigious 2014 General Motors (GM) Supplier Quality Excellence Award. To be eligible for the GM Supplier Quality Excellence Award, suppliers must demonstrate outstanding performance on 13 stringent quality performance criteria, including customer satisfaction, on-time delivery and zero quality issues. 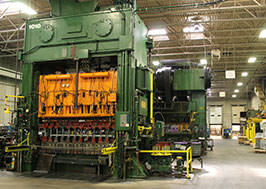 In addition, they must have achieved the cross-functional support of the entire GM organization. "These suppliers have demonstrated their commitment to quality excellence and their outstanding performance is essential to GM's efforts to provide its customers with the best products and services in the industry," said Sheri Hickok, GM executive director Supplier Quality. P&G ships to production facilities across North America, South America, Asia and Europe.